I have to admit, this reads to me like the science-y version of a very elaborate and confused shoulder shrug, but there you have it. It does say that we are still waiting on further testing to hopefully prove or disprove at least one of these possibilities. I share it here in the dual interests of education and curiosity. If you can interpret any piece of it in a way that sheds light, let me know! If you are just deeply curious about what a highly technical pathology report looks like, wonder no more. If you just want to read my vet’s layman’s explanation for this, it’s what I wrote up on Friday. The histologic findings show a severe eosinophilic dermatitis. The top differentials for this lesion are habronemiosis, eosinophilic granuloma, or cutaneous mast cell tumor. 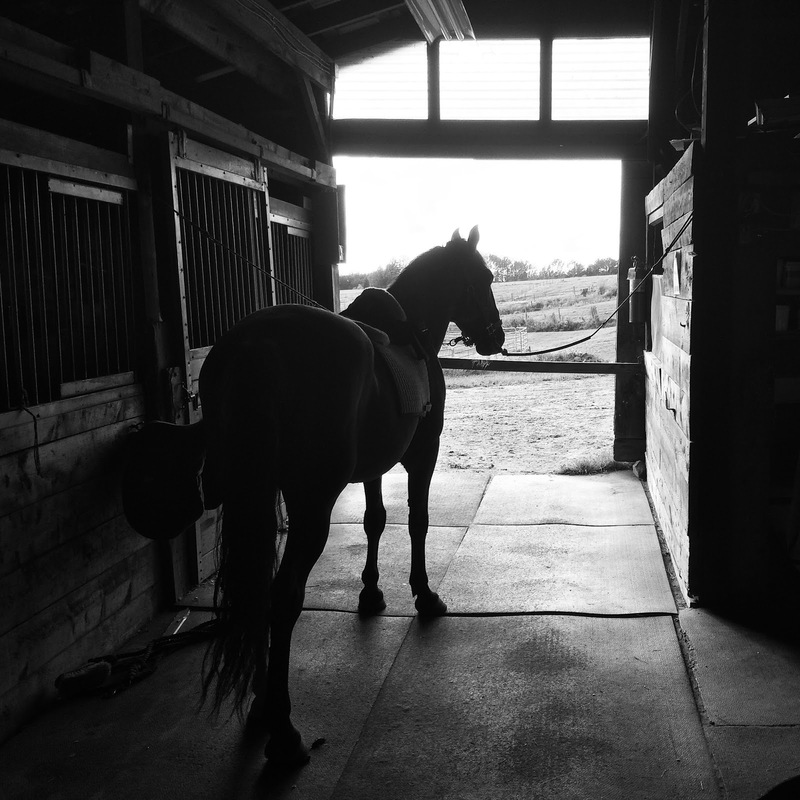 Some horses have an atypical eosinophilic response to bacterial infection and some fungal infections such as, oomycetes. No bacteria or fungi are noted. 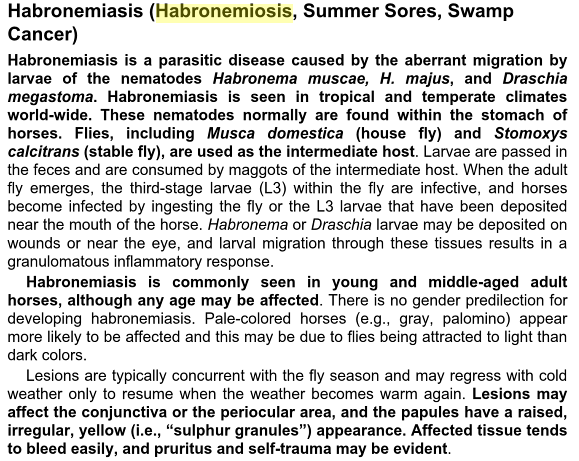 No habronema parasites are seen in the examined sections but additional deeper sections to further examine for residual parasites are pending and additional results will follow in an addendum. Cutaneous mast cell tumor in the horse can be a highly eosinophilic condition with very few mast cells present. The clusters of mast cells required for the diagnosis of cutaneous mast cell tumor are not appreciated in these biopsy sections but histochemical staining to better highlight mast cells are also pending and results will follow in an addendum. Excluding these differentials, the remaining differential is equine eosinophilic granuloma, which is a common skin lesion of uncertain etiology. A hypersensitivity response to insect bites is one speculated cause. Lesions of equine eosinophilic granuloma occur most commonly on the neck, withers, back, and girth region and are often alopecic without ulceration. Early eosinophilic granulomas generally respond to treatment with corticosteroids while chronic lesions may require surgical excision. Strict insect control may diminish recurrences in cases due to insect bites. Previous Post Happy Labor Day! Ugh. A lack of diagnosis and wait must be driving you a little crazy. Sending you a few thoughts via Facebook, though I'm not sure how helpful it will be – I actually have heard of this before, though. ugh hopefully you get your answers soon!